Microsoft offers built-in encryption software known as BitLocker, and it is designed to protect data. But the management of encryption keys becomes complex when you add the scale and diversity of IT infrastructure in today’s enterprises. How do you simplify BitLocker management? 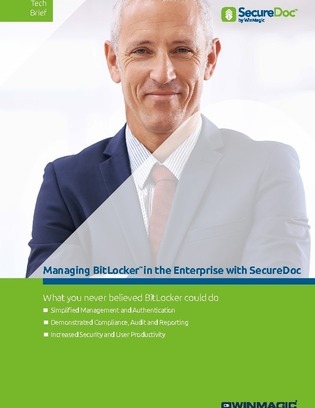 Explore this technology brief to discover if the combination of SecureDoc and BitLocker is right for your encryption and data protection needs.